A few days ago I requested that Facebook finally allow us to download email addresses for all of our friends. Facebook says this isn’t allowed because you only own the data you add to Facebook, not data that your friends add. A person has no more right to mass export all of her friends’ private email addresses than she does to mass export all of her friends’ private photo albums, unless it’s with a partner that’s making it worth our while. Anyway, for those of you who want to download all those email addresses, here’s how. 1. 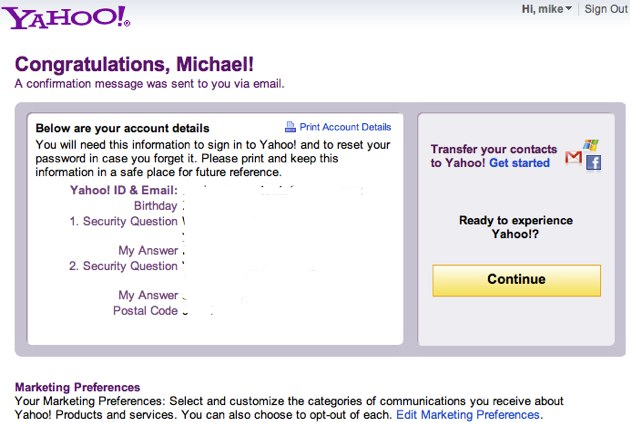 Create a Yahoo email account. Even if you have an old one, create a new one so that the imported contacts are clean. It only takes a minute. You’ll get a confirmation screen that looks like this, below. Click on import contacts “Get Started” link and then choose Facebook. Note – do not use Chrome for this, it doesn’t appear to work in that browser. 3. 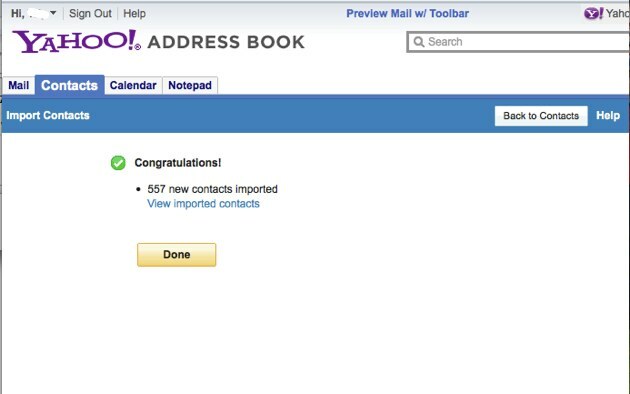 Ok, you’ve now imported the names and email addresses of all your Facebook friends into Yahoo. 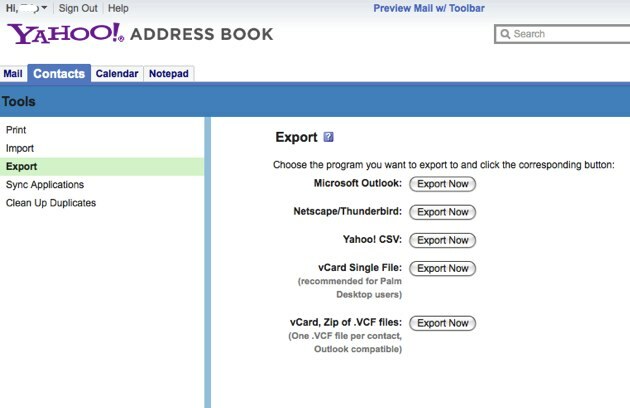 Now just click “tools” in Yahoo mail and export. CSV format is a good format for uploading to Gmail or your desktop contact book. Save the file to your desktop, and you’re done. 4. Enjoy your new contacts. You’ve just done something that Facebook says you have no right to do, using tools provided by Facebook.